We are receiving a lot of questions and requests this marketing season. So we all thought it would be fun to address those questions by answering via this Ask the Broker blog format. So, feel free to send us your questions via email to us at angelrealty@icloud.com. We will post your question on the blog and the Broker’s answer. 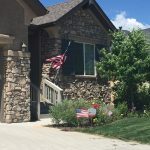 A series of relevant real estate questions can be asked and answered in this “Ask the Broker” blog to help provide value and information to Denver home sellers and sellers. I am a family man with growing family needs. I want the benefit of a 30 year mortgage for the lowest possible monthly payment, but don’t want to actually pay all that interest – Is there a faster way to pay the mortgage off to avoid paying that interest? What do you recommend? Thanks for your “Ask the Broker” question – this is a question that is being asked pretty frequently. There are several ways you can choose to pay off a 30 year fixed mortgage early. Let me suggest this valuable resource to view free classes that can share some of those options, in the link below. These classes can show you exactly how you can successfully pay off your mortgage in 7-10 years, saving substantial interest costs and allowing you to own your home free and clear. You can access additional free classes at http://www.freecashflowed.com/laurieclark . Please take a moment to let us know what you thought of the classes and if you found it helpful, Tom. How to Own Real Estate with NO Mortgages from VIP Financial Education on Vimeo. Denver Homeowners – What do they pay?